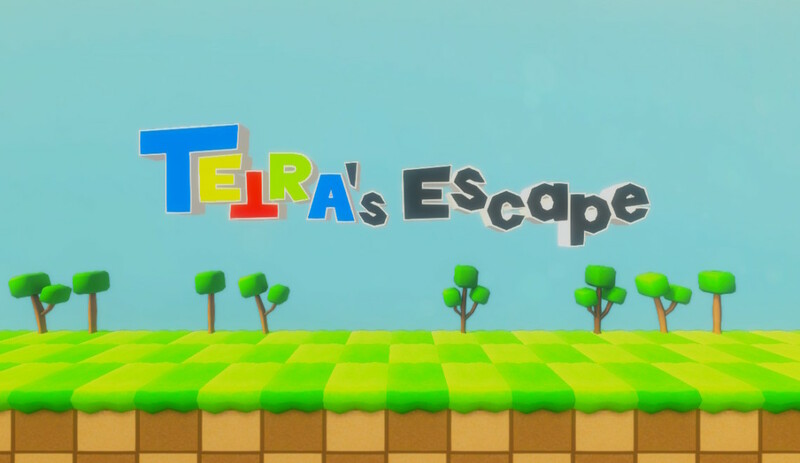 From developer ABX Games and publisher Ratalaika Games comes TETRA’s Escape for the Nintendo Switch. 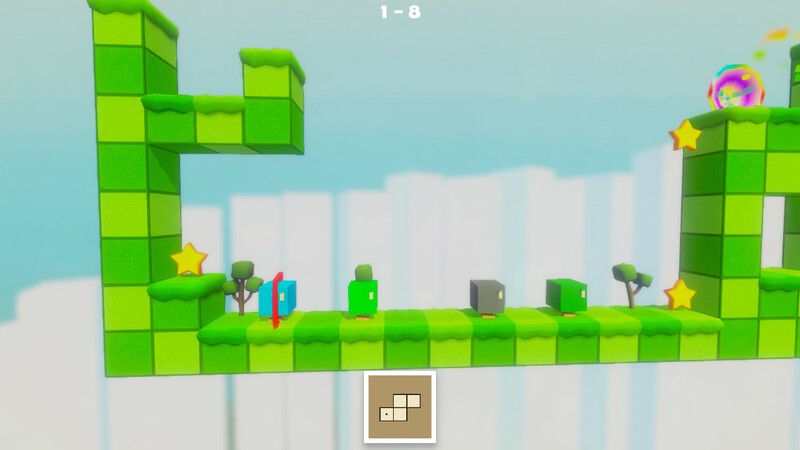 It’s a game about using familiarly-shaped blocks to solve puzzles. 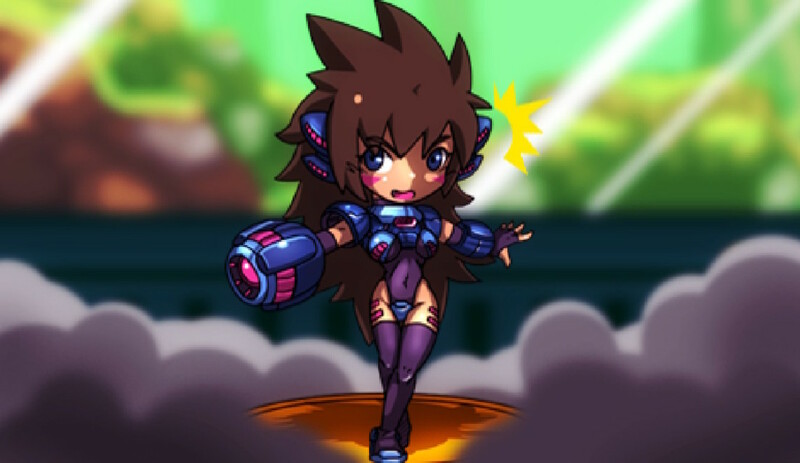 Any similarities in name and appearance to a certain classic block-based puzzle game are entirely coincidental, I’m sure. It’s pretty light, but there is a story here. A hole opened in the sky and sucked all the poor little TETRAs into it. 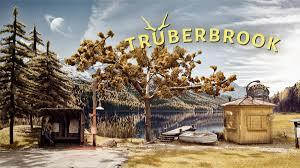 Now you have to guide them to solve puzzles and send them all home with random holes in the sky. So… yeah. That’s pretty much it. I guess it’s nice to put a little effort into crafting a narrative and a motivation for why you’re solving all these puzzles, but it’s so thin I’m not sure I can even qualify it as a narrative. More like… a scenario? I don’t know. The story isn’t anywhere close to important to the game, and I don’t know why I’ve put this many words into explaining it already. Let’s just move on. The object of the game is to move one TETRA into a portal located somewhere on the map. Grey TETRAs are your basic model, they can move left and right and jump up one block. Different colored TETRAs can turn into different shaped blocks which other TETRAs can use to climb up to ledges or bridge gaps between platforms. The blocks these TETRAs turn into bear a striking resemblance to the different shapes from Tetris. It’s mostly just a visual nod, as the gameplay between the two couldn’t be more different. 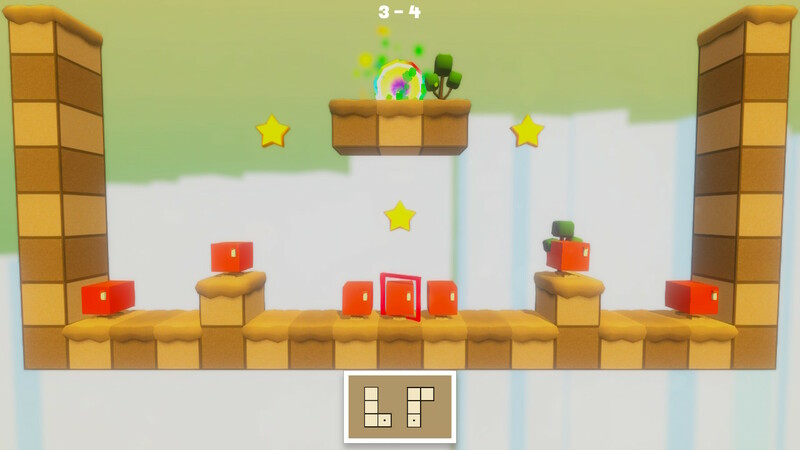 Anyway, you transform TETRAs into blocks to forge a path to the exit portal for each level. 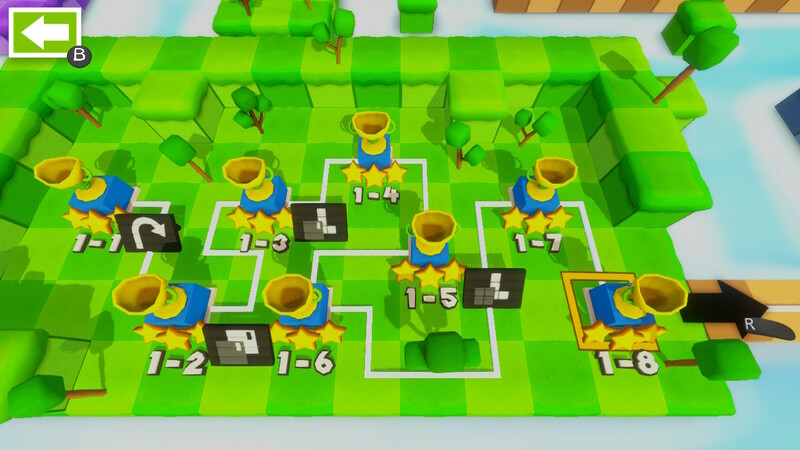 Each level has three stars that can be collected. Once you collect all the stars, a trophy appears on the stage which you can collect as well. You don’t need to collect the stars or trophies to complete a level, you just need to get to the portal. Collecting the stars and trophies unlocks achievements, however, so all you cheevo hunters have something to shoot for. The puzzles are fairly well-designed, but getting to the portal is seldom an issue. The real challenge is in collecting the extra items. TETRAs can’t be turned back into TETRAs once they’ve transformed into blocks, and you don’t know where the trophy will spawn until it spawns. If you’ve blocked your path to where it is, you’ll have to do the level over again if you want to grab it. 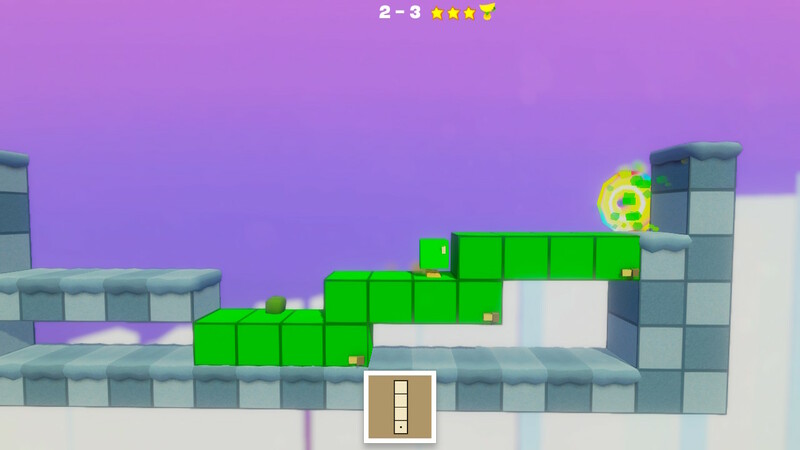 There are 64 levels in all, and solving them all takes a good chunk of time. 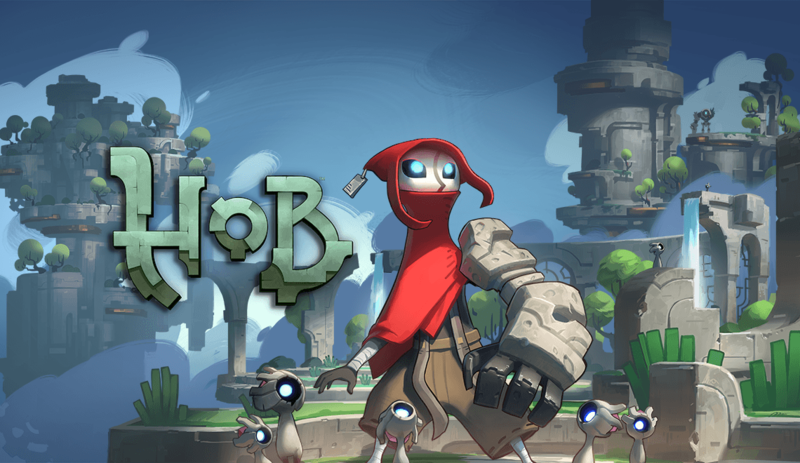 So, if you’re looking for a casual puzzle game, you get some bang for your buck with this one. The game is perfectly presentable for what it is. The TETRA models are sharp and colorful, but they’re just monochromatic cubes. There’s only so much that can be done with that, visually. The colors get changed, and that’s basically it. The backgrounds are similarly bright and sharp, if indistinct. Like I said, the game is perfectly presentable, and that’s really all that I can think to say. 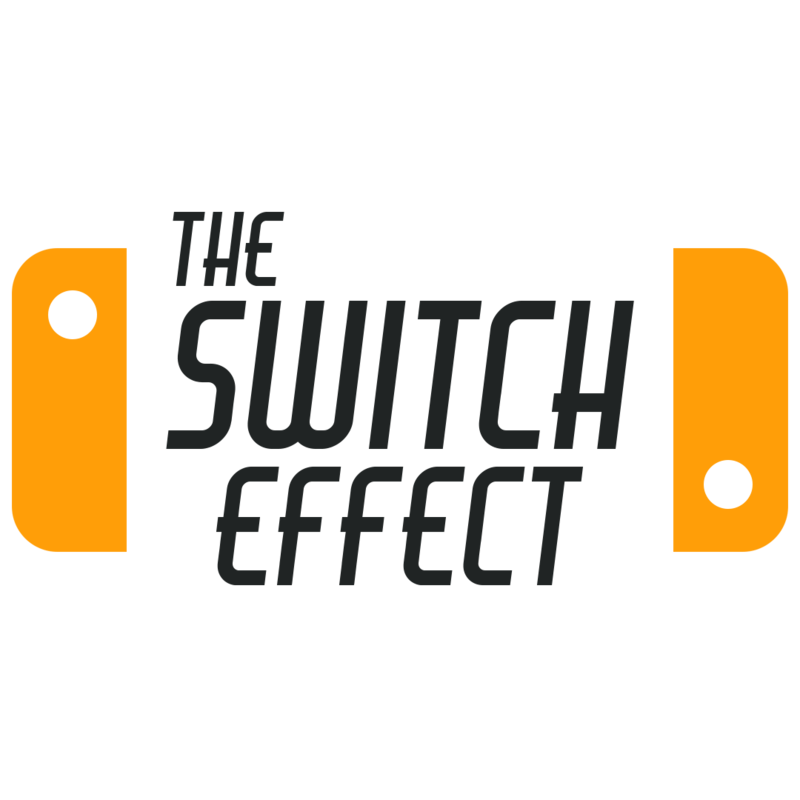 The music is light and forgettable, but it’s not annoying and doesn’t distract from the game in any way so it gets a pass. Still, it all comes together to make for a charming, casual, indie game. 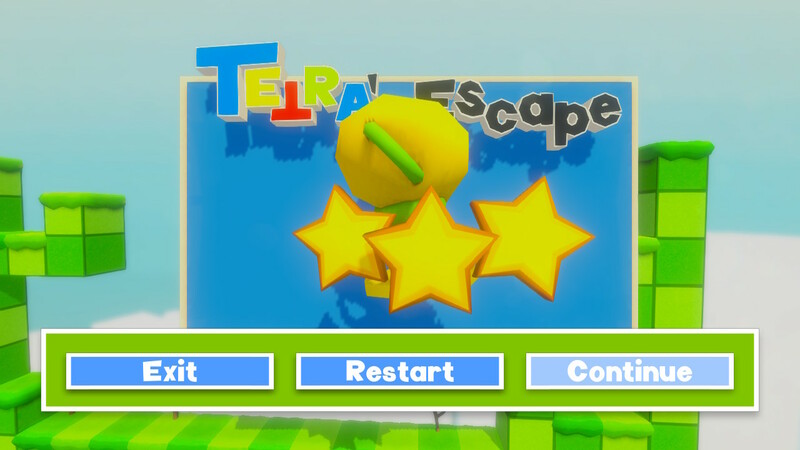 TETRA’s Escape has no touch or motion controls, so you can play it docked or undocked as you prefer. It’s a good game to play on the go, though, so I’d recommend playing it as a game to play when you’re not in front of your TV. Like on the train or whatever. TL;DR: Solid puzzle design makes for a good time.